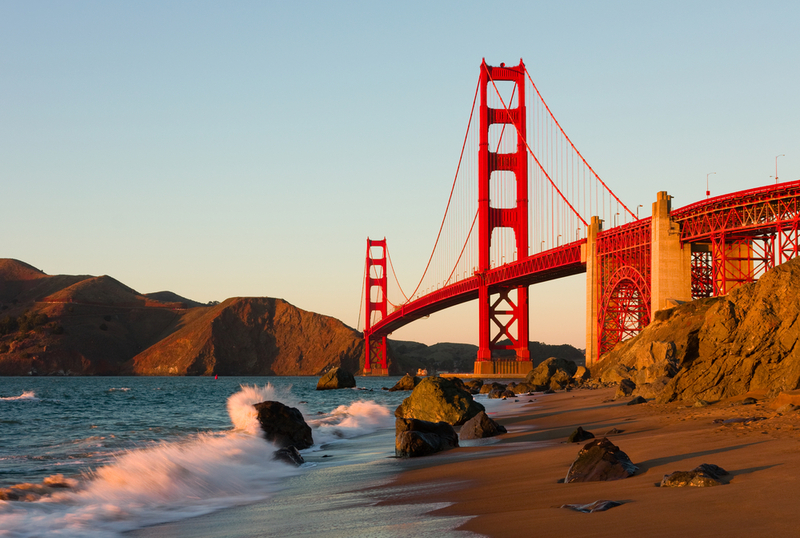 10 Great Things To See and Do In San Francisco, Search Hotels Too! The name is a bit misleading (there’s no beach in sight), but this neighborhood proves you don’t need coastline to be lively, engaging, and charming. A touch of European romance, a majestic church, and a tower to climb for top-notch photo ops make North Beach a special corner of the city. There are tons of easy-to-find beautiful hotels in the heart of North Beach, making this the perfect place to spend a few days. Since it’s the Italian quarter, this is where to stop for an authentic taste of Italy. 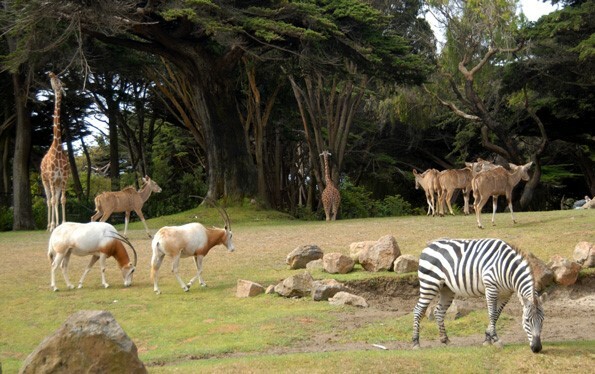 Often overshadowed by San Diego’s world-renowned facility, the SF Zoo doesn’t always make it onto tourist itineraries. That’s a shame, considering the natural beauty of the site and the magnificent array of creatures, including hundreds of endangered and rescued animals. You can easy fill a morning with a stroll around the 100 acres of gardens and exhibits, and kids will love the outstanding playground and interactive areas. 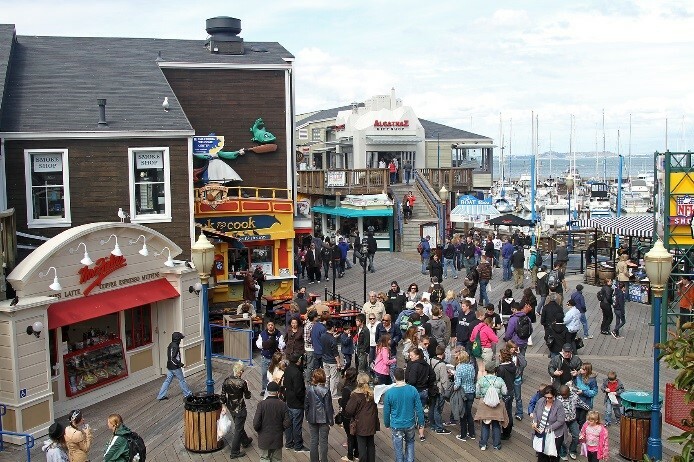 It’s famous for Fisherman’s Wharf, but Pier 39 actually offers quite a bit more for the wide-eyed visitor. This bustling coastal marketplace is a feast for the senses – the place to enjoy your first bowl of clam chowder, and sip your inaugural glass of Californian wine as you look out over the Bay. You’ll notice that a happy group of sea lions have made a home on the nearby floats, topping off the merry atmosphere. 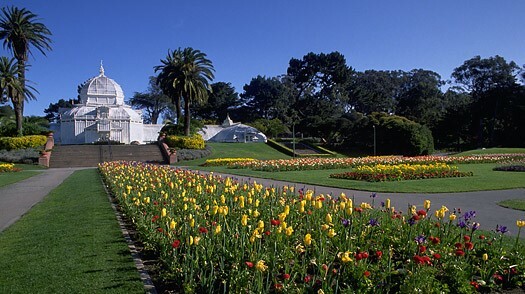 The bridge sure gets a lot of press, but Golden Gate Park definitely deserves some of your attention, too. You may have heard about its gardens, museums, pristine picnic areas and the like, but did you know that it also hosts a herd of buffalo? Stop by the Buffalo Paddock next to Spreckels Lake to see the burly American Bison roam through an enclosed field, a treasured feature in the city since the 1890s. 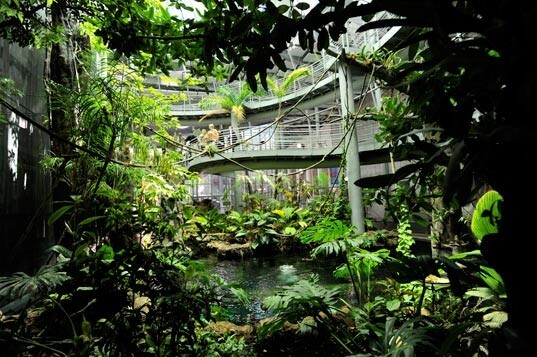 The newly renovated buildings of the California Academy of Sciences house an aquarium, a planetarium, a living rainforest, a coral reef ecosystem, and a superb collection of natural history artifacts. But the level of interaction is perhaps the most impressive aspect of the place: from immersive planetarium shows to penguin feedings and coral reef dives, you will be treated to some delightful science lessons. An army post-turned-national park, this unique recreational spot is bursting with history, but there’s just as much natural beauty as there is significant architecture to admire. 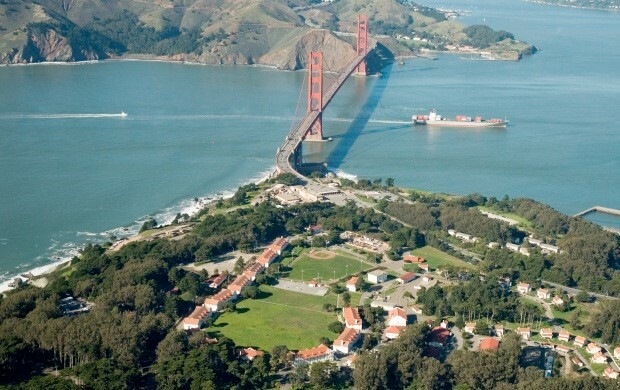 The Presidio really has it all – from an historic airfield to towering forests and architectural treasures – and a sprawling network of trails will get you anywhere you want to go. It’s a great site for a hike or picnic, and since it’s free all year-round, there’s no reason to skip this impressive park. Union Square may boast big name stores, but the shopping on Clement Street is much more charming. This is where you’ll find oaken second-hand book stores, a more intimate Chinatown experience, and some of the city’s most underrated restaurants and hotels. 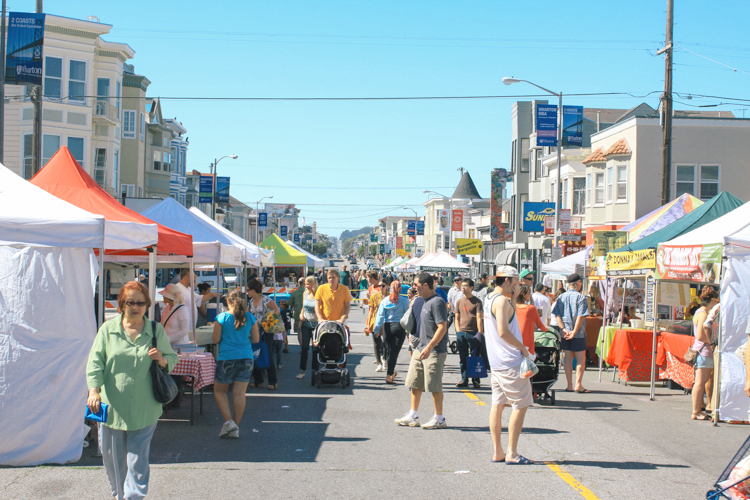 Beloved by locals and tourists alike, Clement Street promises pleasant dining and window shopping, and on the right day, a stroll through the popular farmer’s market. The quintessential symbol of old San Francisco is still a favourite for tourists, and for good reason. 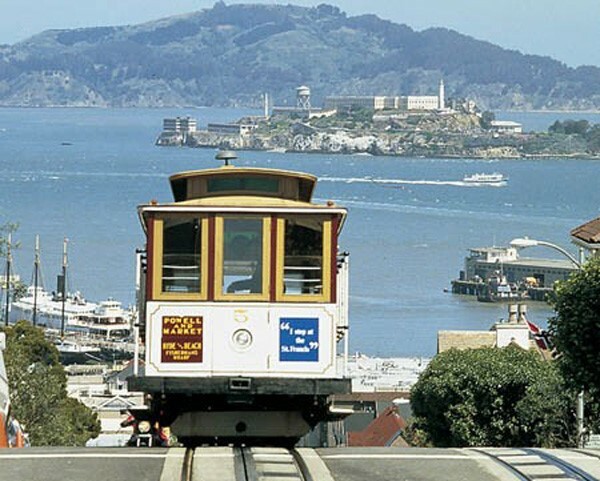 The queue may be a little longer than usual, but get on the cable car at Union Square and ride it to Fisherman’s Wharf. 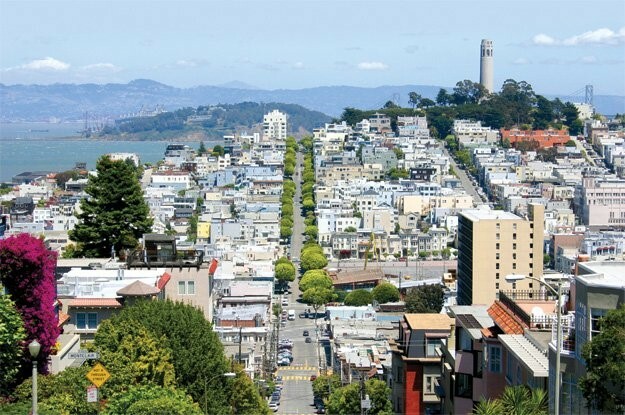 It’s a fun trip that offers extraordinary views of the city and surroundings, and a rite of passage into San Francisco culture. You probably won’t have to go out of your way to drop by Union Square (search for nearby hotels here)– it’s pretty difficult to miss. But the hubbub of busy shoppers and diners promises a happily frenetic atmosphere that begs you to join in. This is your chance to find a special souvenir from a designer boutique, visit the largest Bloomingdale’s outside of New York, and catch one of the best off-Broadway shows you could hope to see. 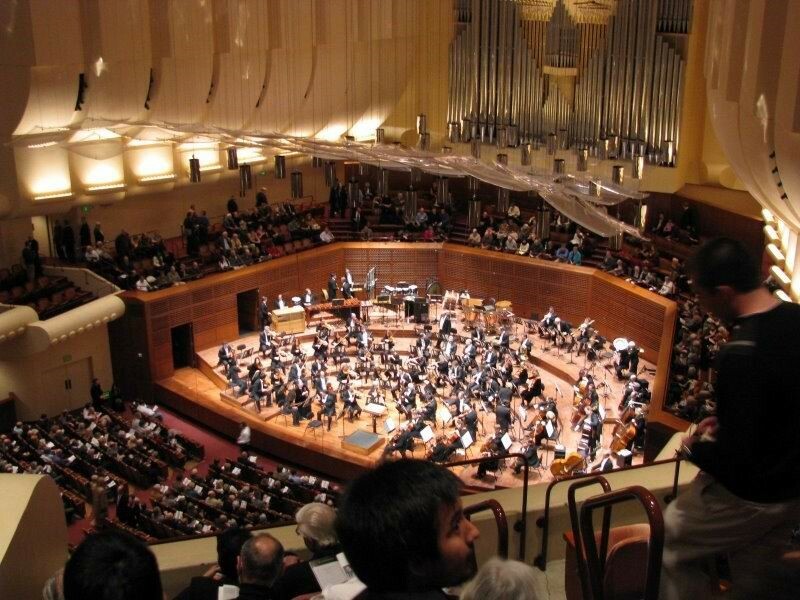 With roots stretching back to the early 20th century, the San Francisco Symphony is revered for its longevity, but also its vitality. In fact, between the San Francisco Symphony Youth Orchestra and the San Francisco Symphony Chorus, the company holds performances over 200 days each year. Whether your taste is classic or modern, any music lover will be happy to catch a concert at this hallowed institution. San Francisco may be a relatively small city, but it can be challenging, especially if you don’t come prepared. Lombard Street is known as the most crooked street in America, but the rest of the city is riddled with winding roads and rolling hills, too. Luckily, a good pair of walking shoes can make all the difference, and as long as you dress in comfortable layers, you’ll be able to enjoy the changeable climate the region is known for. 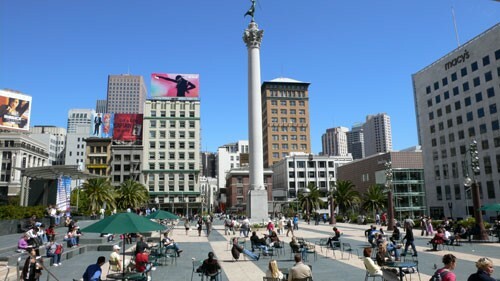 Comment on 10 Great Things To See and Do In San Francisco, Search Hotels Too!